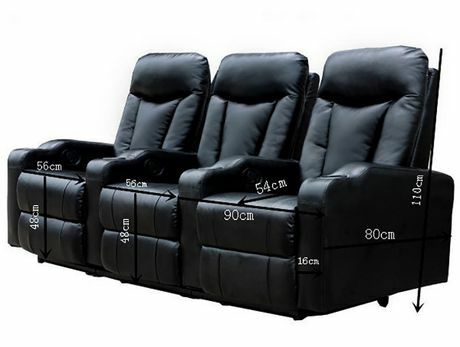 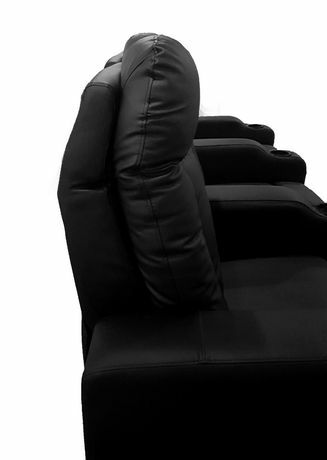 Prime Mounts helps creates the ultimate home theatre experience with their Contemporary style seating selection. 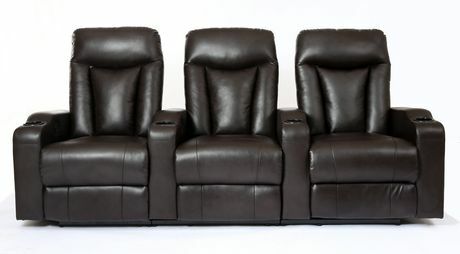 The hardwood durable frame comes complete with built in cup holders to secure you drink. With individual adjustable high backs and fully reclining feature, you will enjoy watching your favorite program in style. 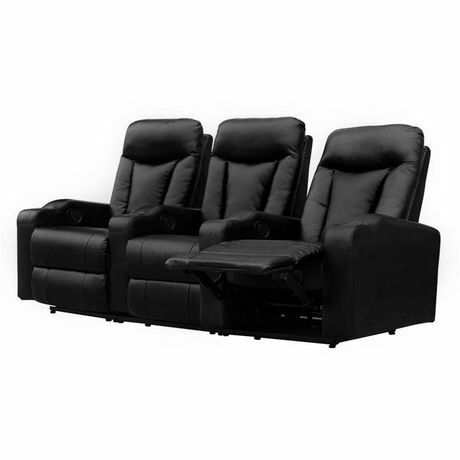 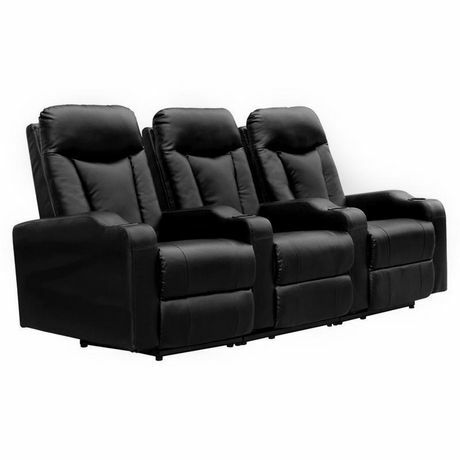 Power Recline your seating to the optimal position for ultimate comfort. 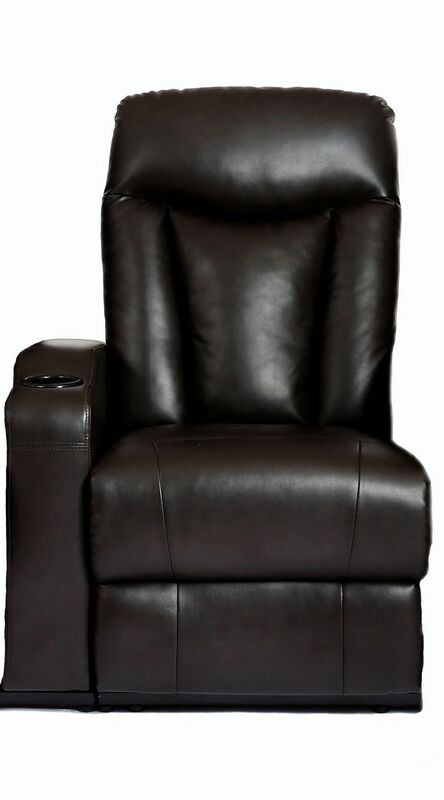 The durable bonded leather fabric fits nicely with any décor.